Ohayo gozaimasu, listeners! Just checking in with a bonus episode to get the Corps excited for the convention this weekend. 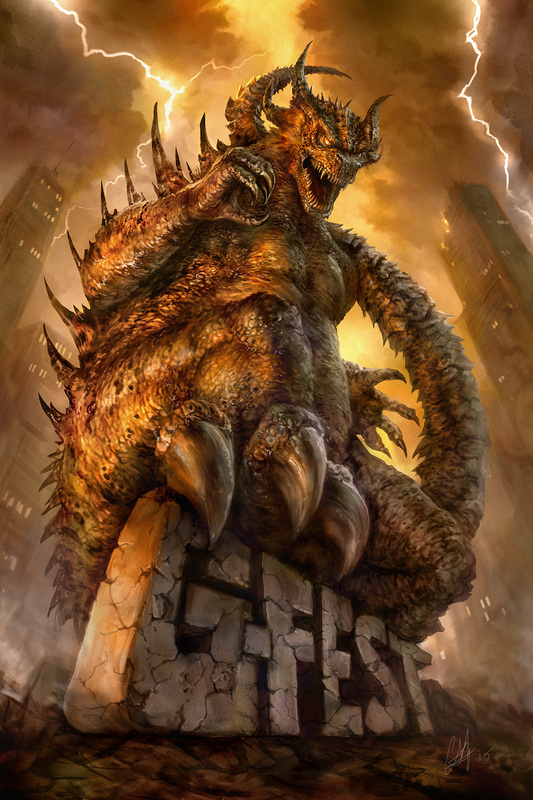 Consider this a brief introduction to some of the amazing things happening at the annual Godzilla and kaiju focused extravaganza… G-Fest! I’m going to be taking part in a lot of the programming this year, so I those who can attend will check out some of the panels I’ll be a part of. Don’t forget that my documentary, Hail To The King: 60 Years of Destruction premieres at G-Fest – on Saturday at 1pm in the Midway Room. There are so many amazing artists who will be displaying and selling their kaiju-tastic artwork – check them out here! 8pm Kaijucast Listener Party — see below! Have you gotten your tickets for the big concert Friday night? If not, don’t forget to pick them up here or at G-Fest! The listener party will kick off at the Crowne Plaza’s Visibility Bar starting Saturday at 8pm and, depending on how busy it gets, we might take the party out to the patio! If so and you want to keep up with Kaijucast events, be they convention appearances, Daikaiju Discussion homework deadlines or whatever, listener Justin Greene has created a Kaijucast Calendar – check it out and subscribe if you’d like!